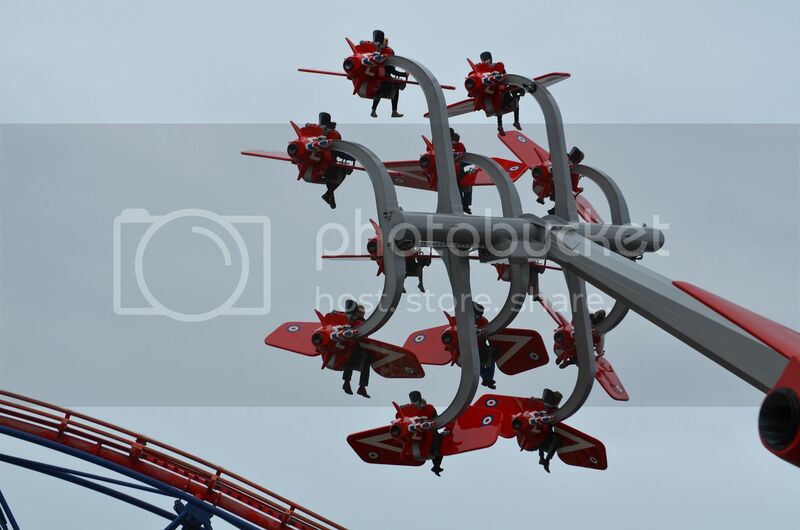 What an incredible day, SKY FORCE is just an incredible piece of engineering designed to fully interact with the rider..
Its themed around Britain's finest pilots..the RED ARROWS ..
Pilots take their seats in the cockpit, and you have a choice of how to fly your very own Red Arrow..
We arrive 30 minutes before the official opening, there is an amazing atmosphere..
Mrs Amanda Thompson speaks to guests and opens the SKY FORCE ride.. 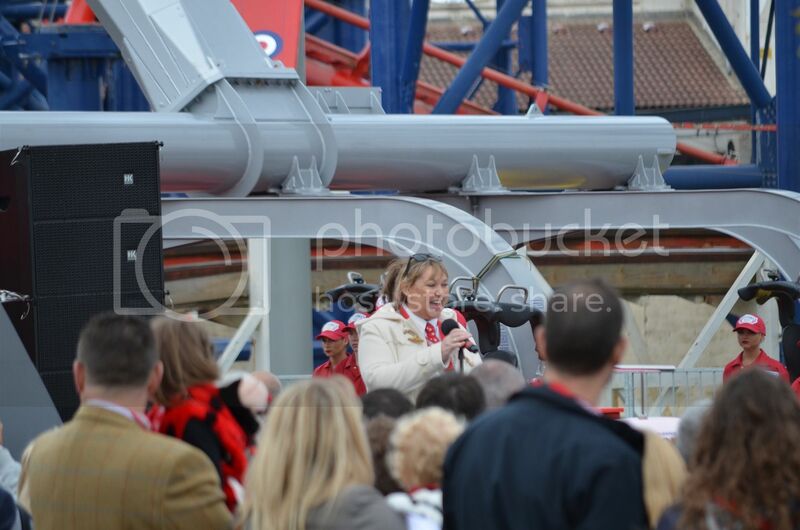 The superb Alex Brindley is today's host.. 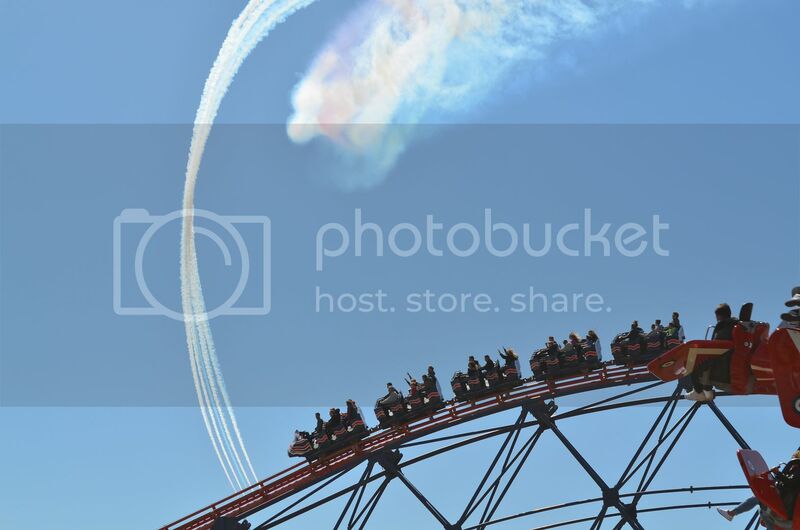 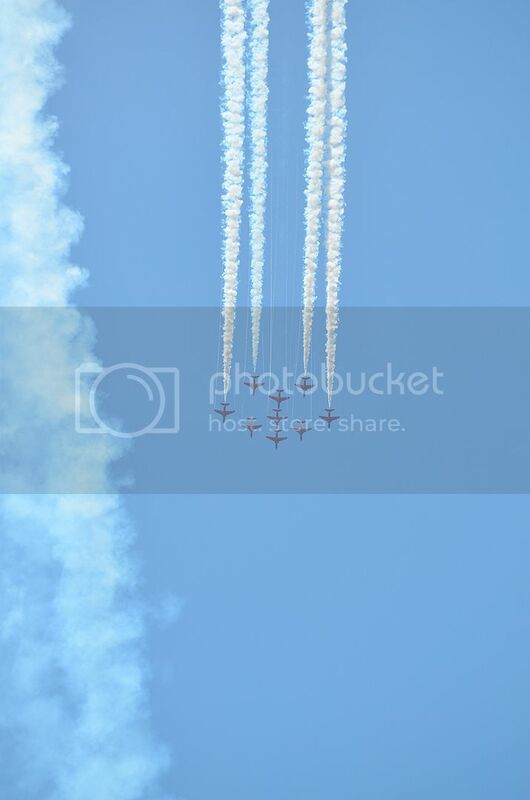 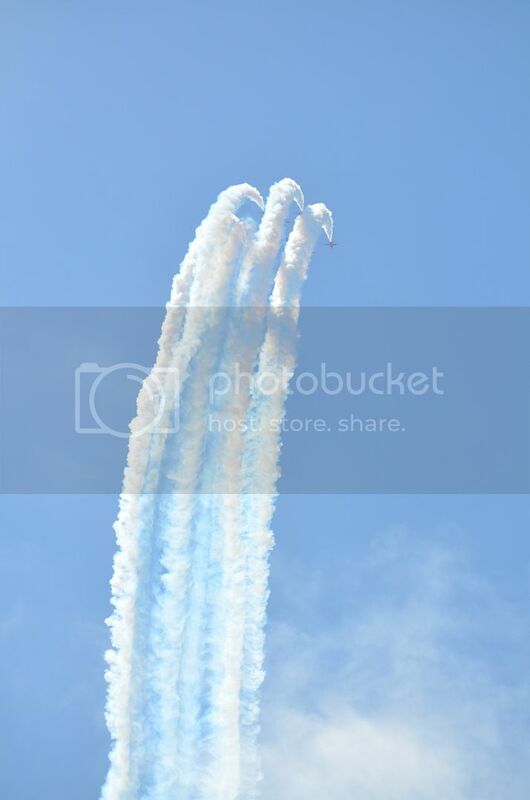 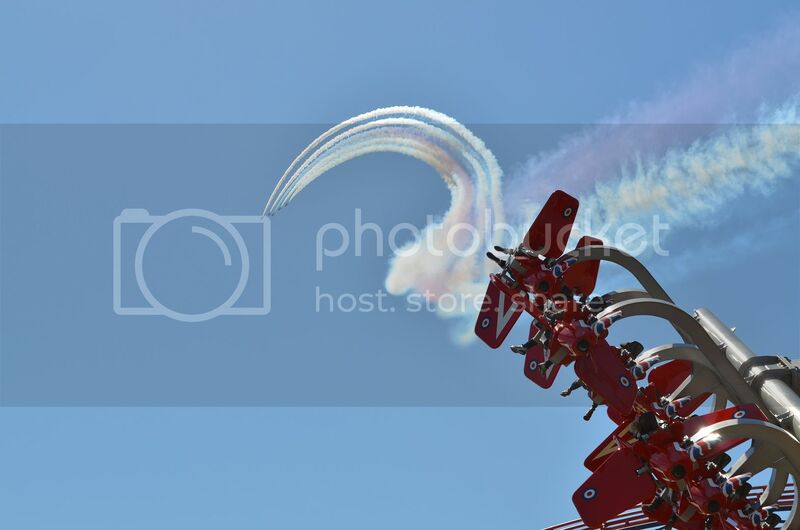 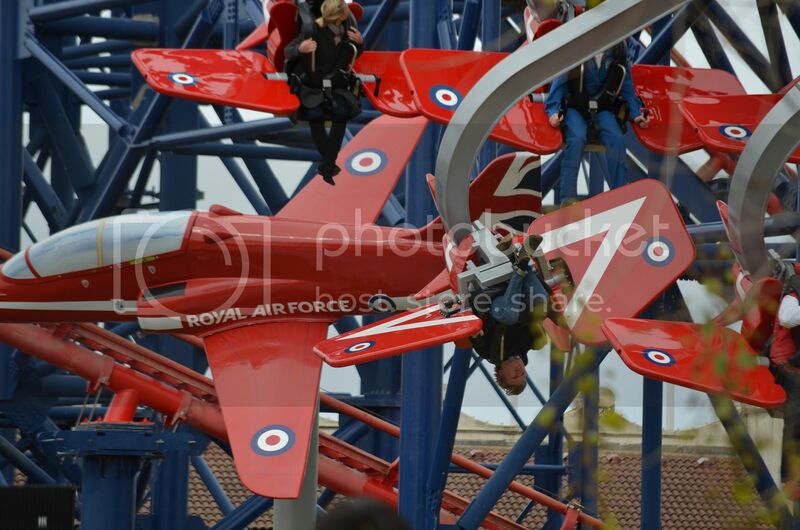 The Red Arrow SKY FORCE test pilots showed us how to fly them.. 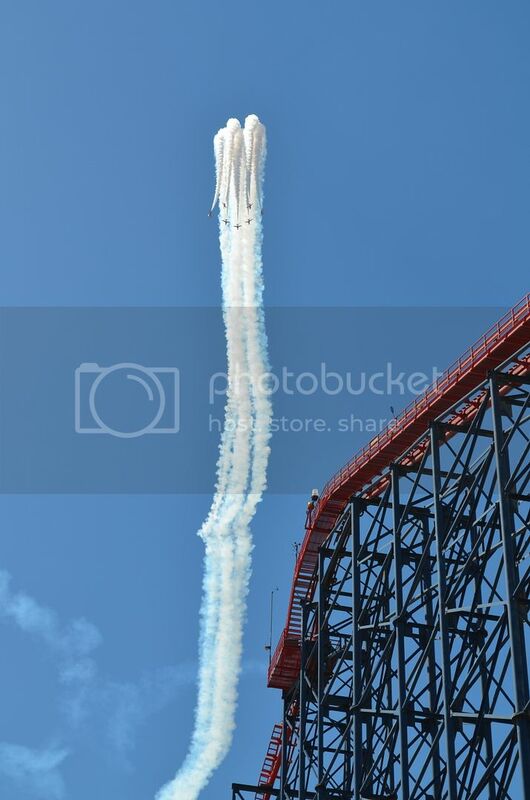 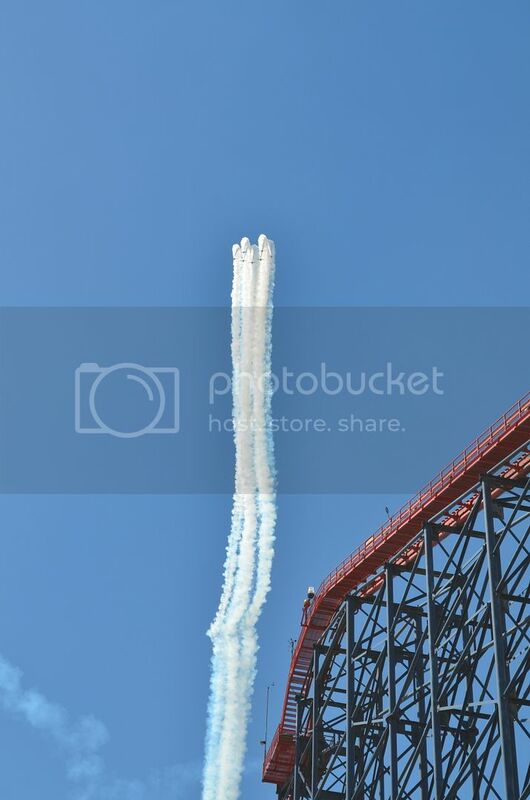 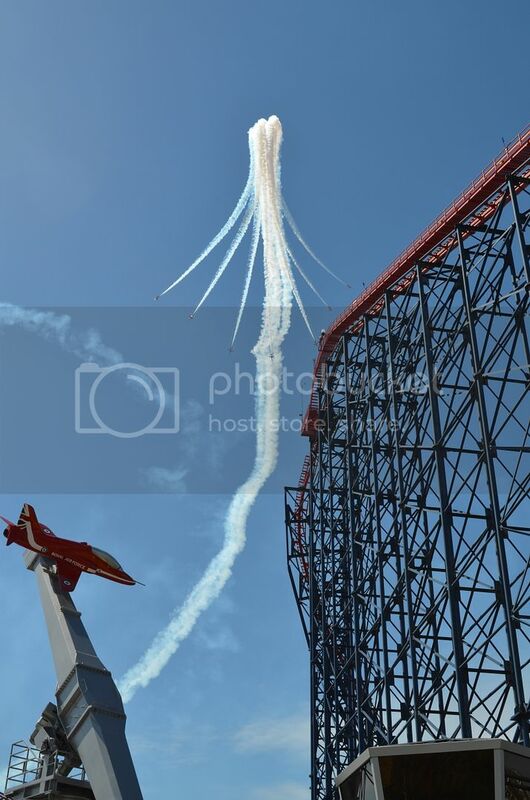 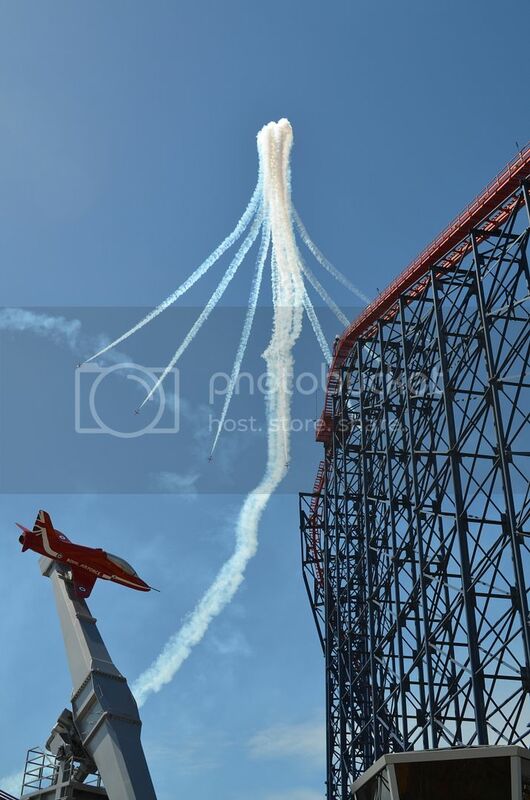 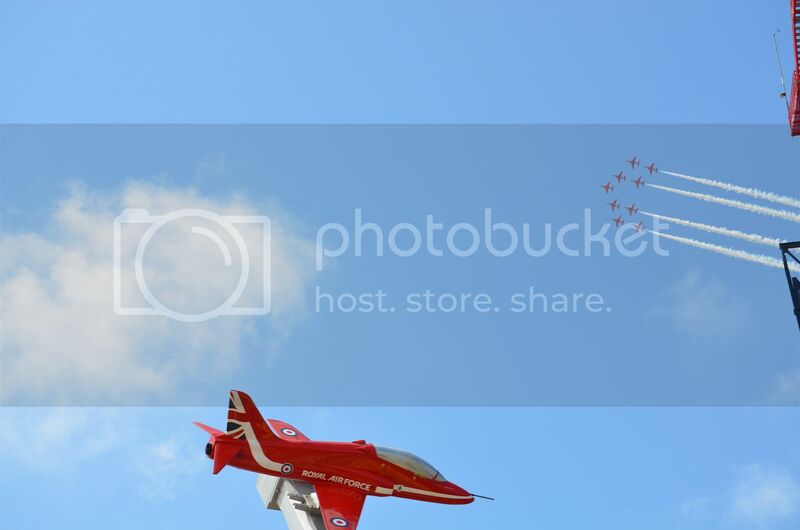 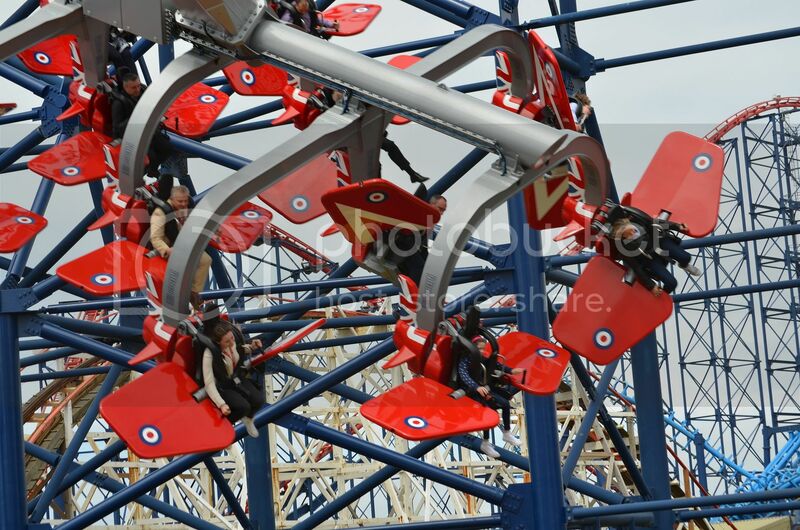 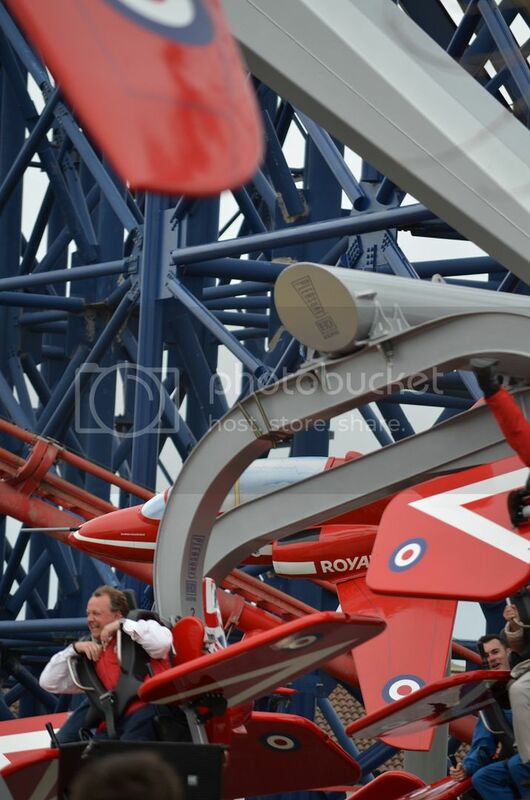 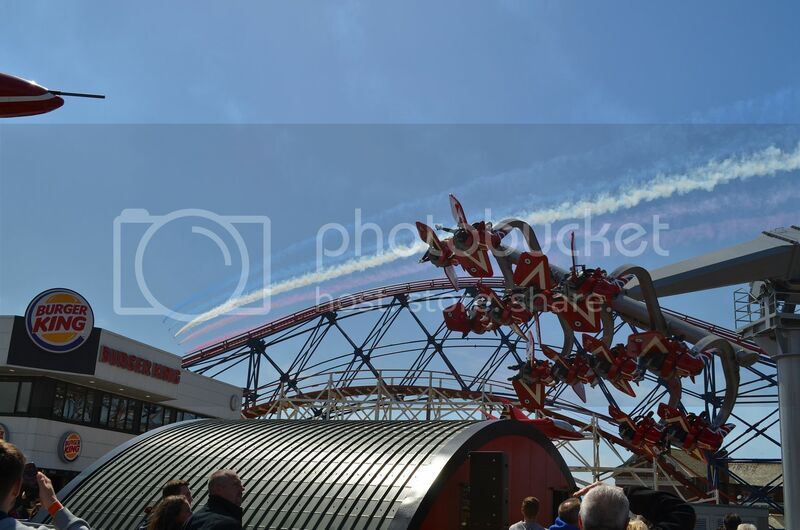 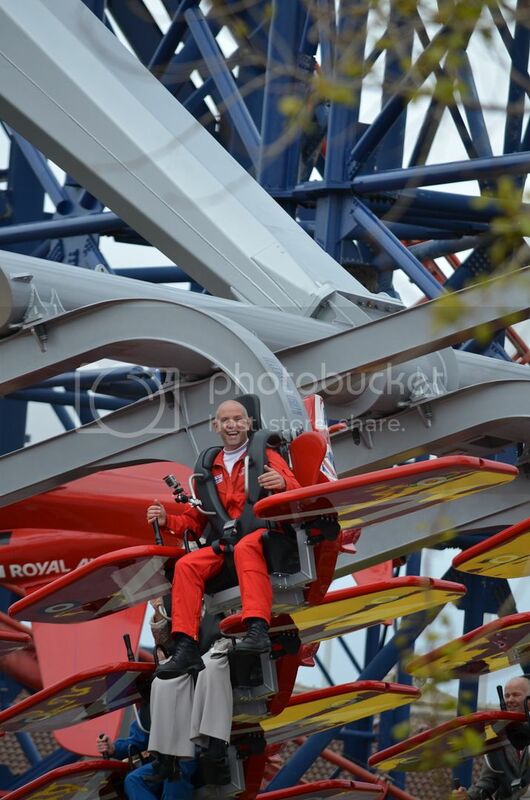 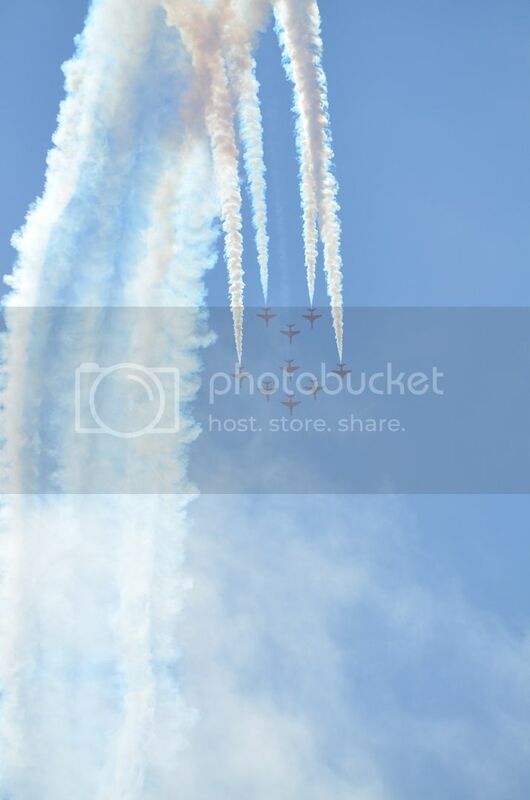 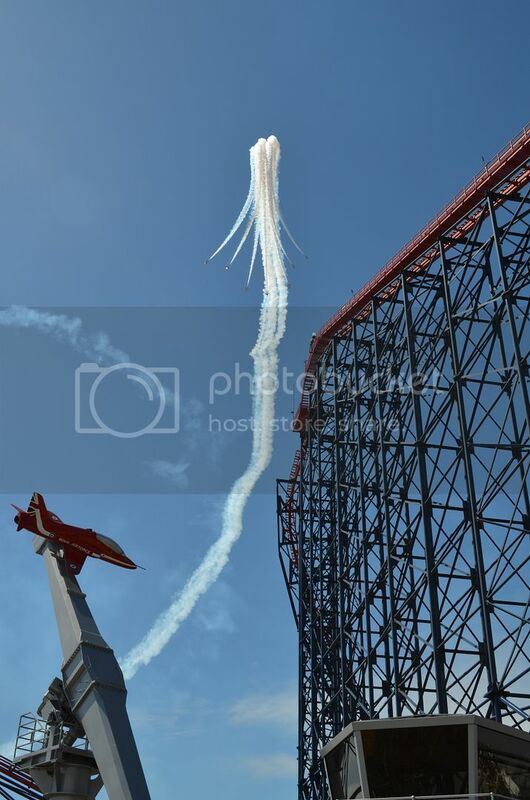 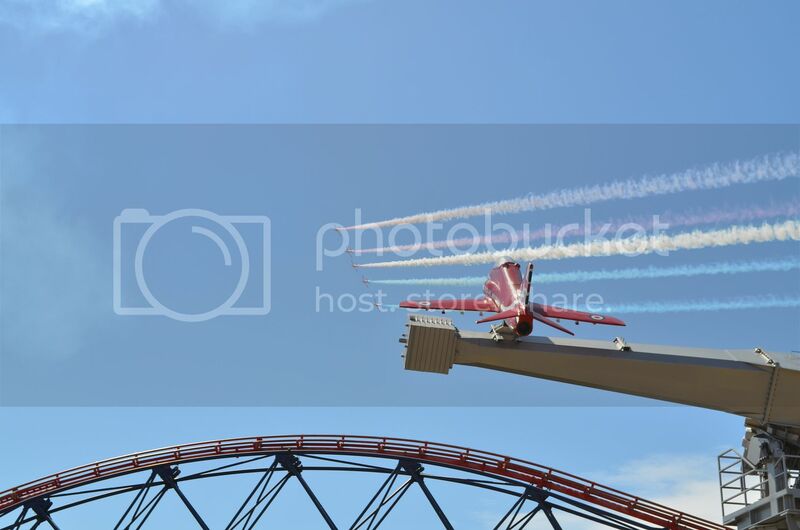 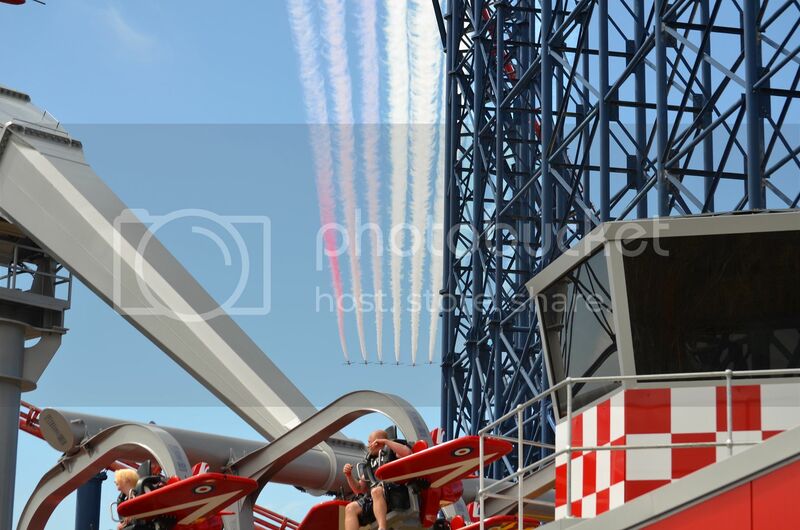 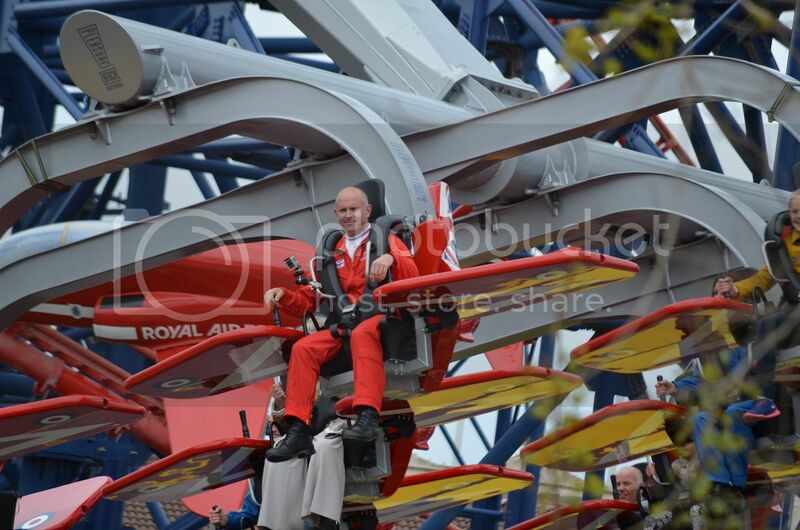 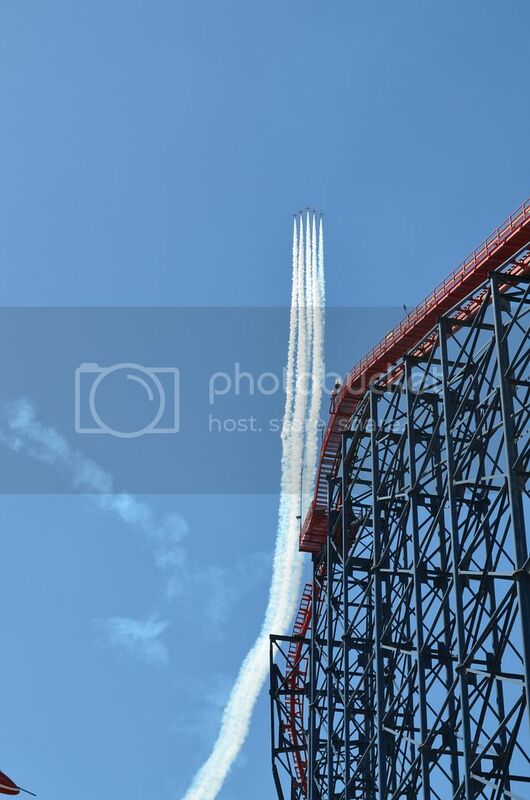 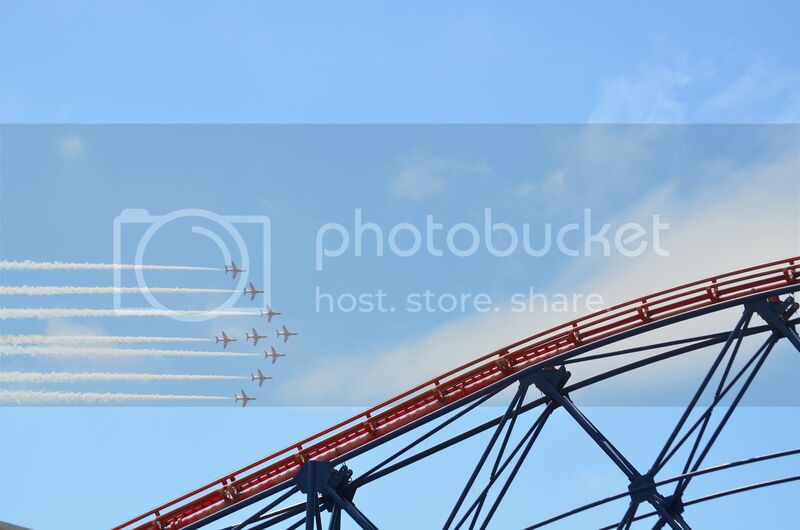 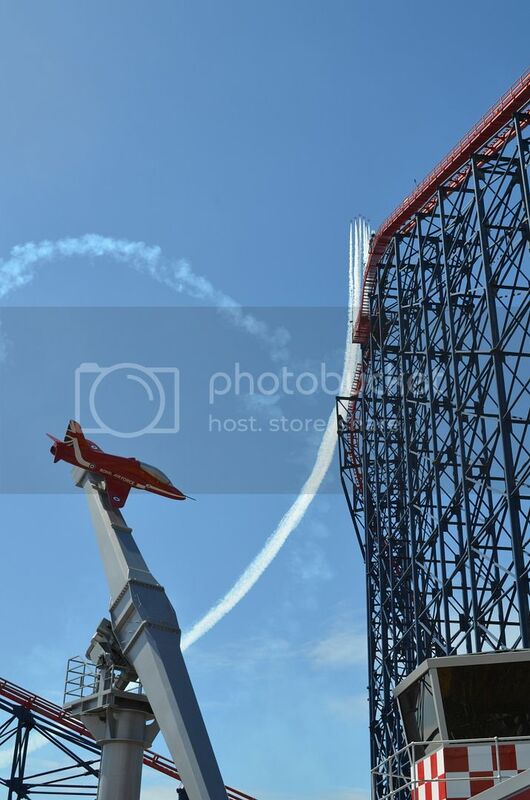 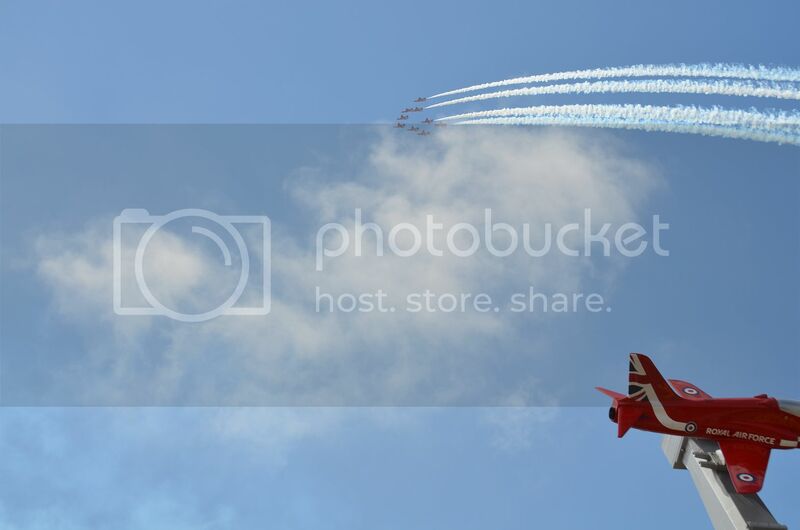 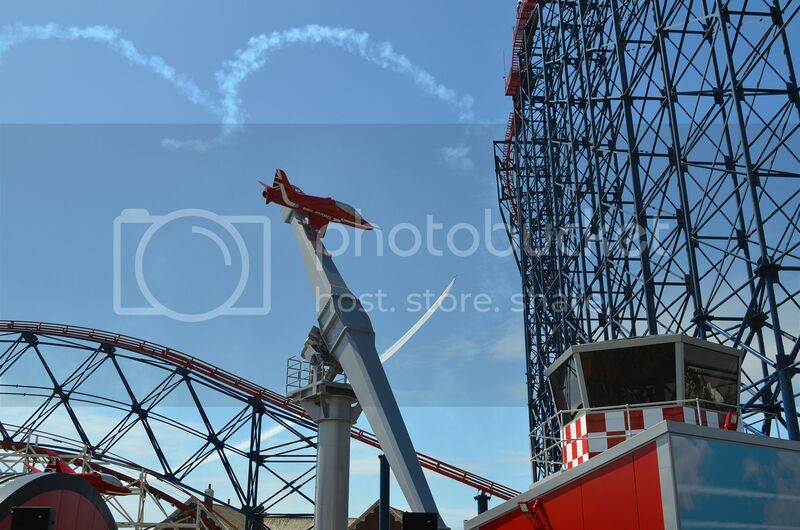 I will let you into a little secret, 9 Red Arrow pilots performed over Blackpool this afternoon..that's because Red TEN was with us..
Nick Thompson had a ride..
As I said, you can control the ride..its brilliant.. 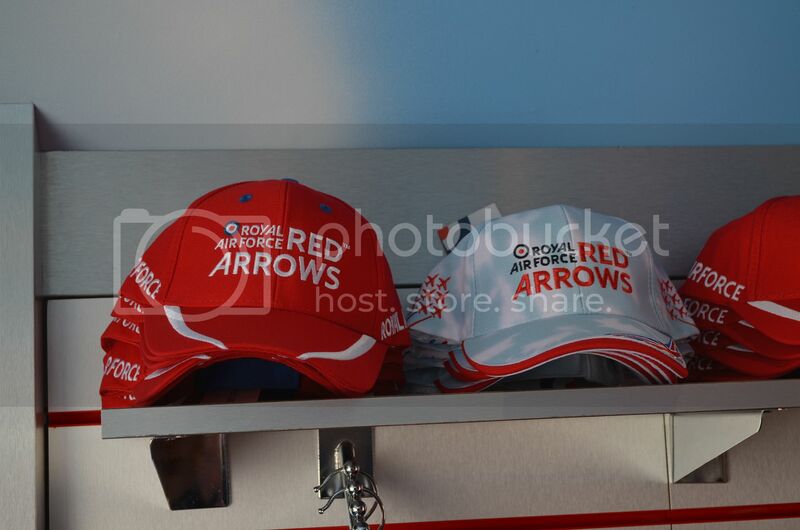 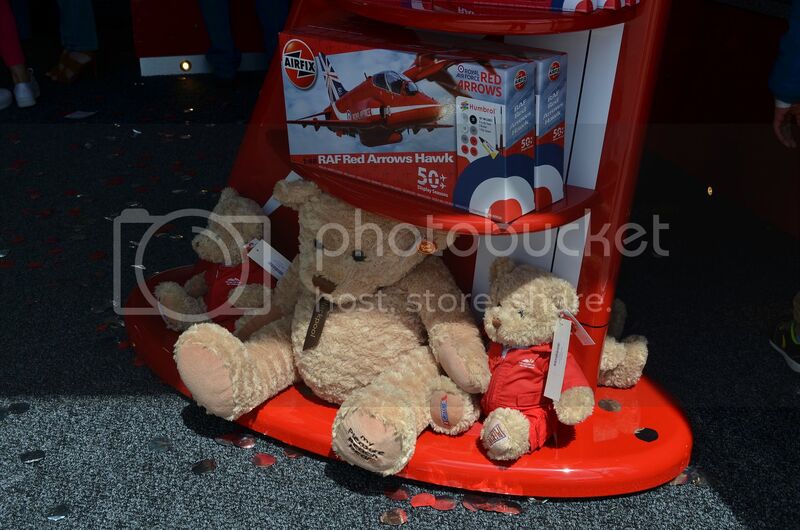 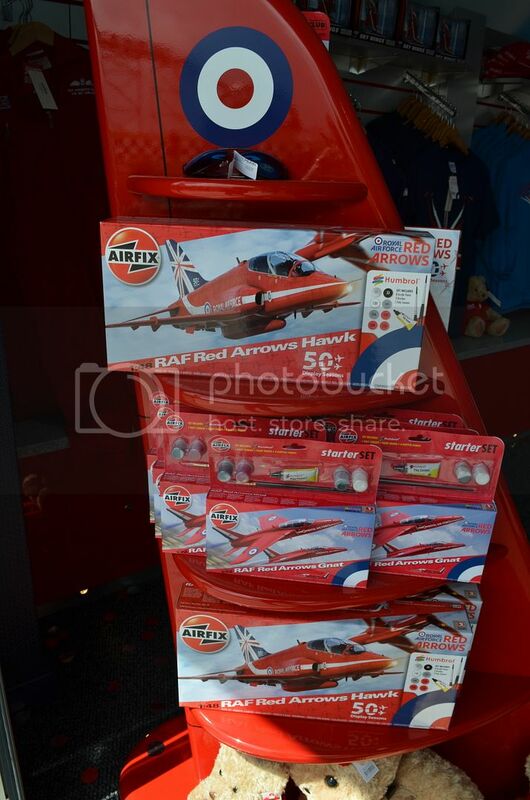 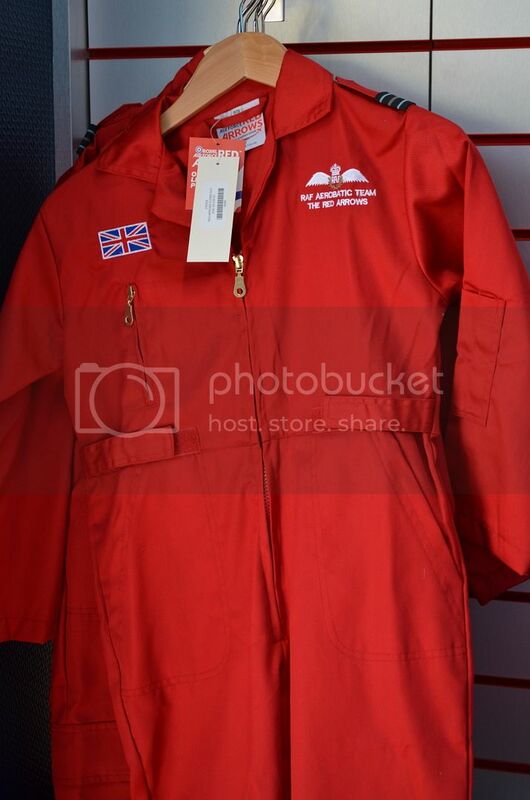 Plenty of quality Red Arrow merchandise.. 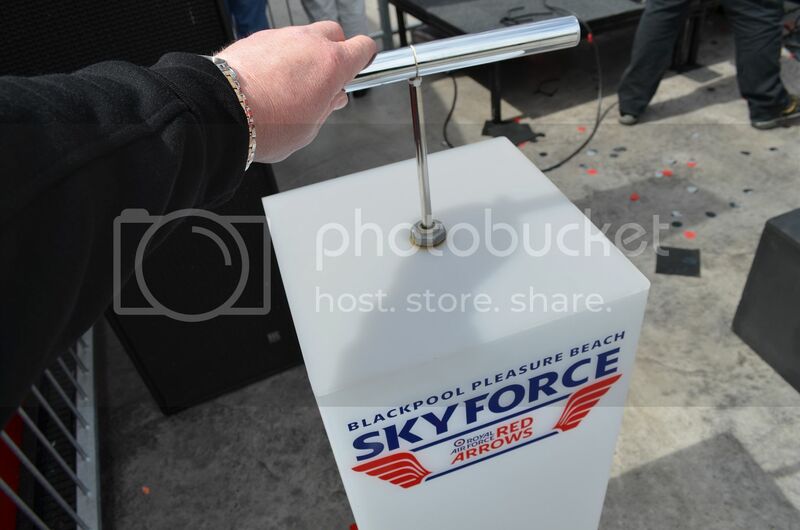 The VIP Guests enjoyed the ride..
Whilst I messed around with the official plunger when nobody was looking..
Somebody looks excited to be riding it.. 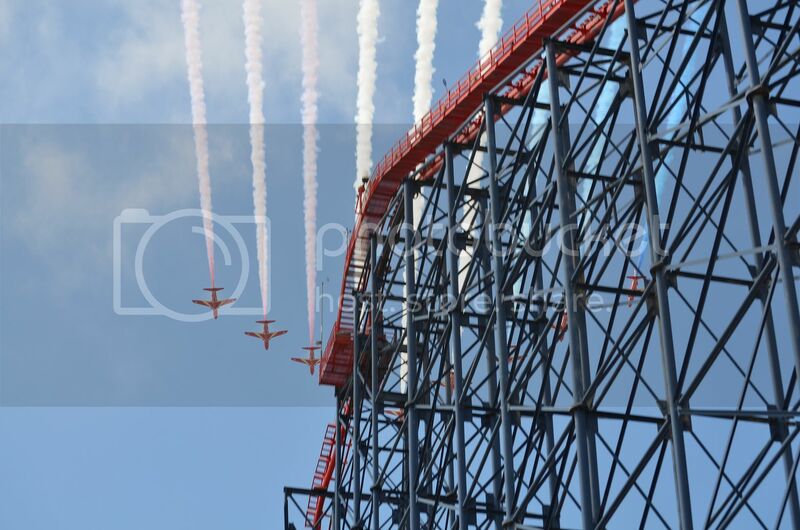 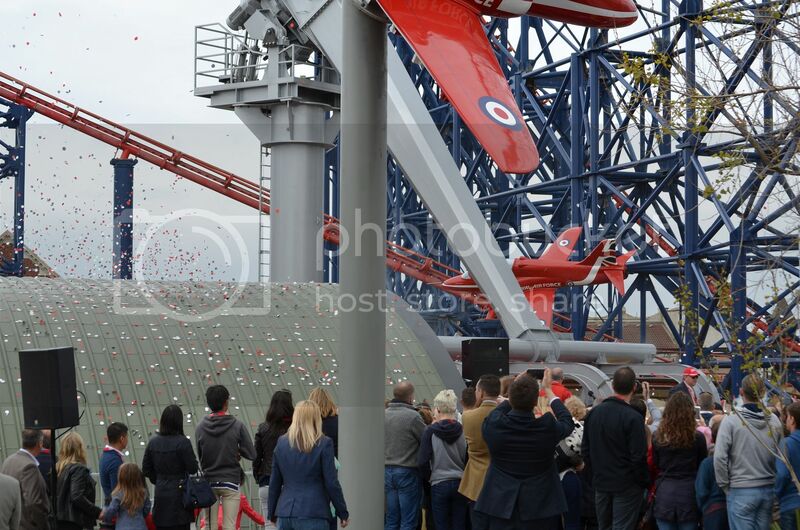 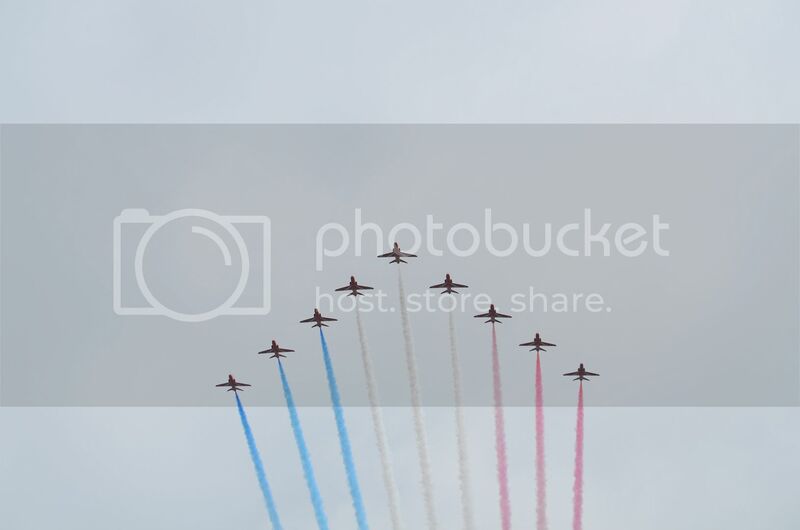 The Red Arrows arrived on time, and what was so amazing, we had a live feed from the pilots to the ride area, we could hear everything..quite simply amazing..
My turn to ride it.. 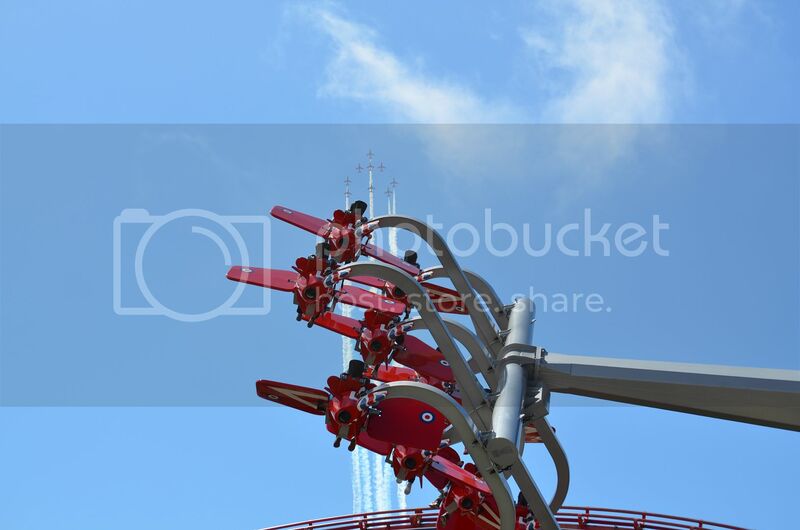 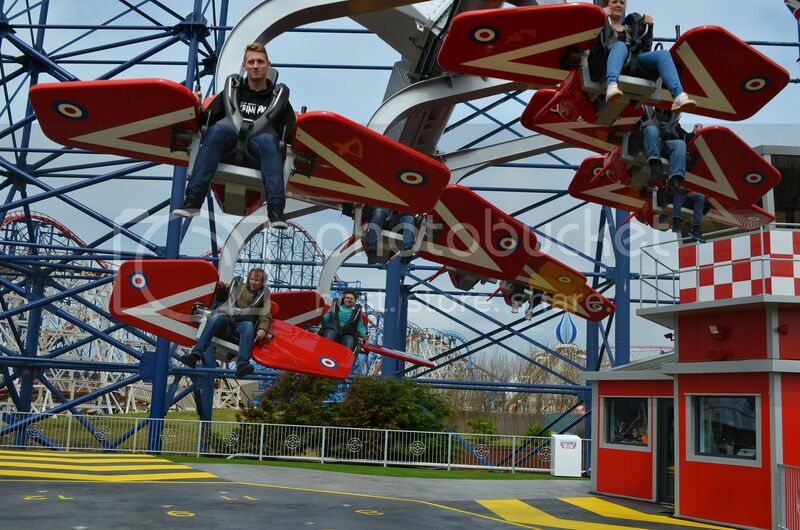 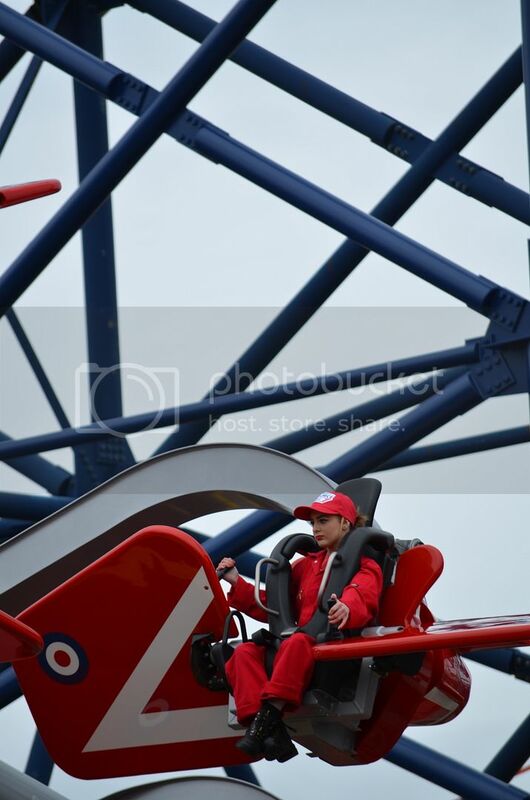 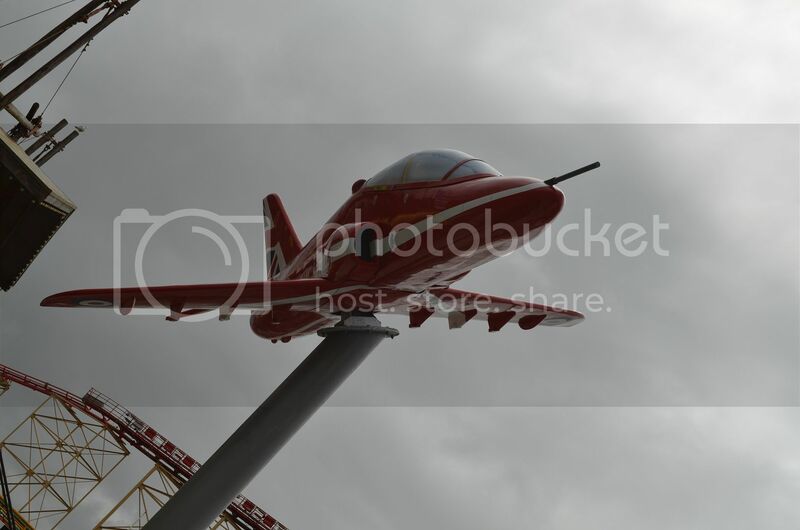 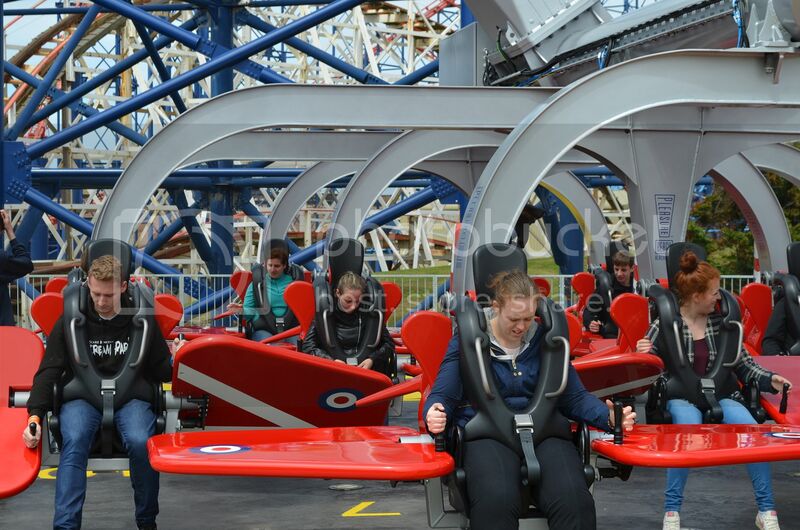 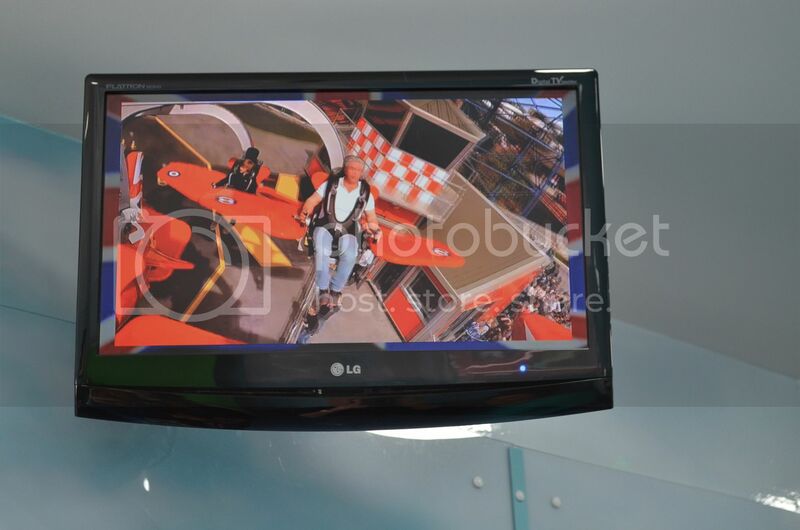 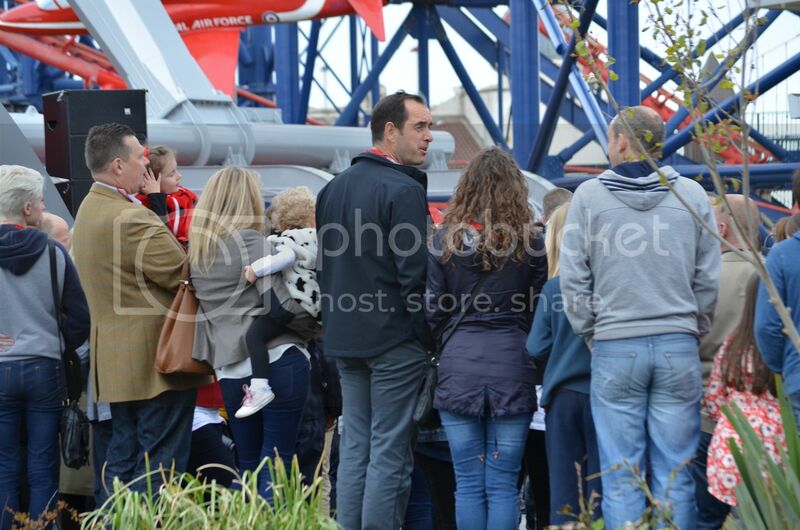 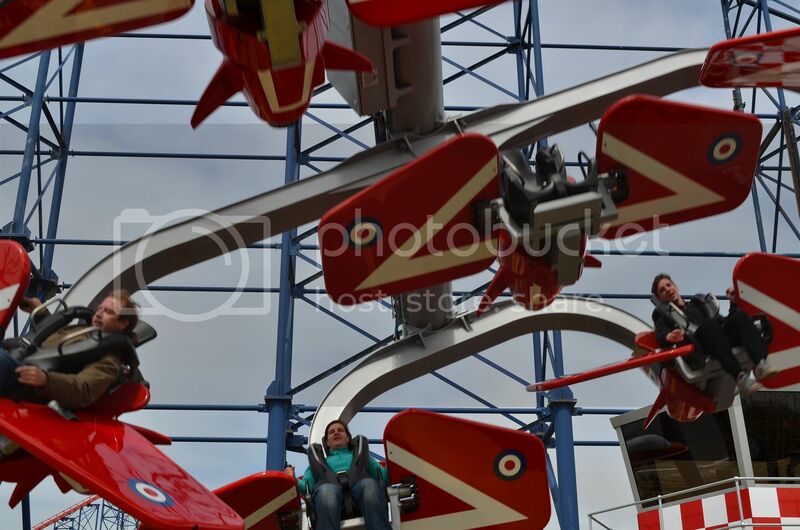 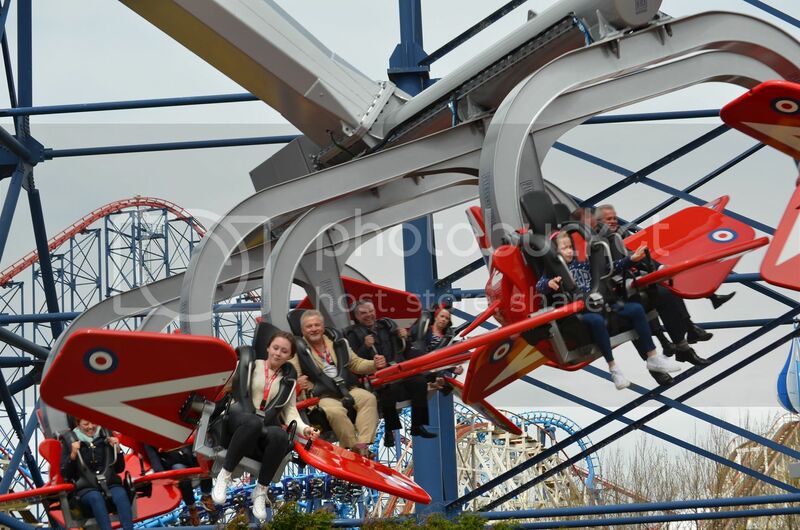 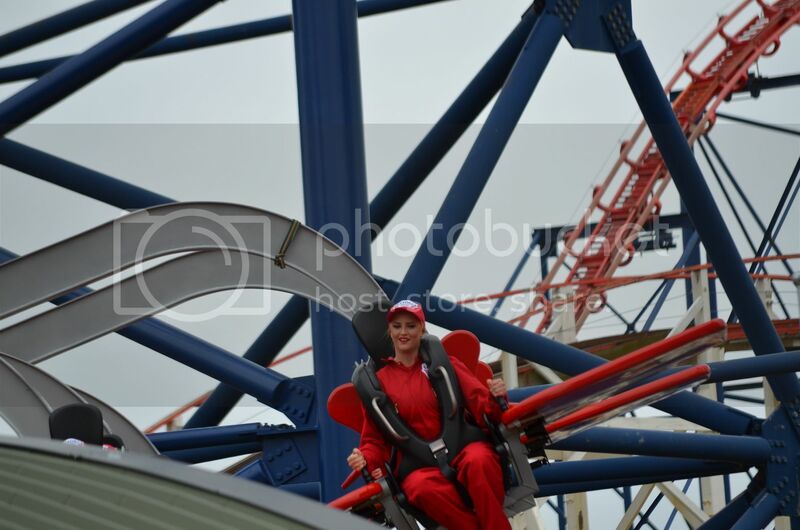 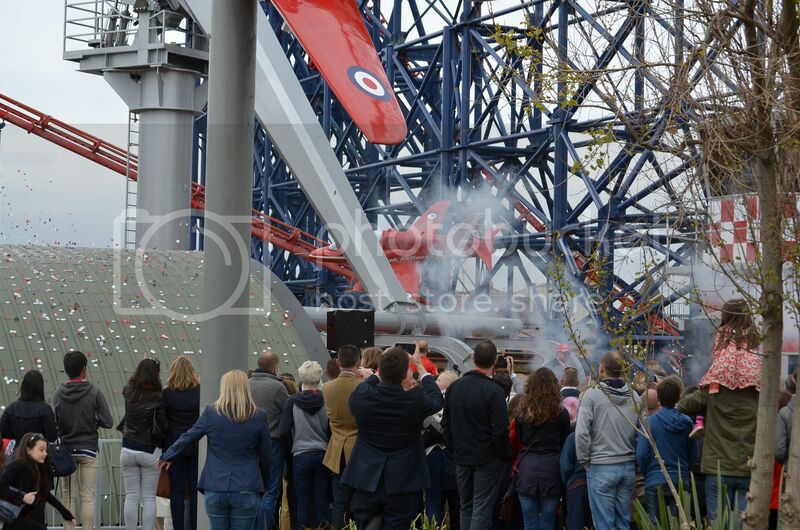 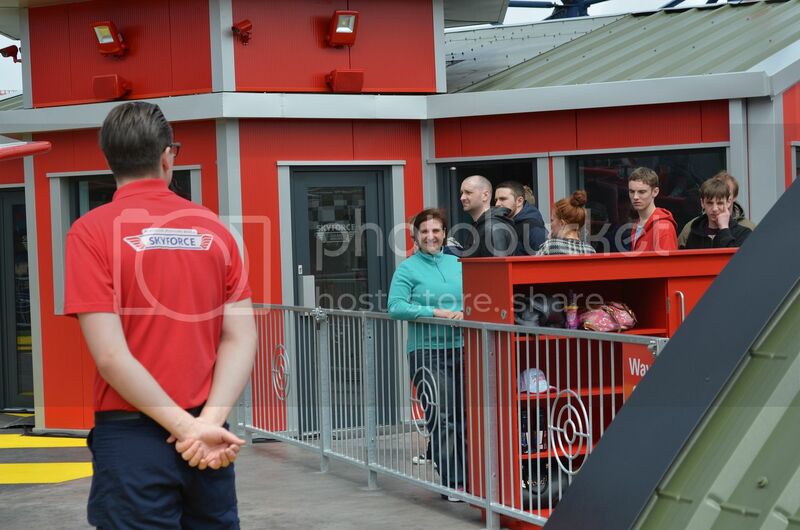 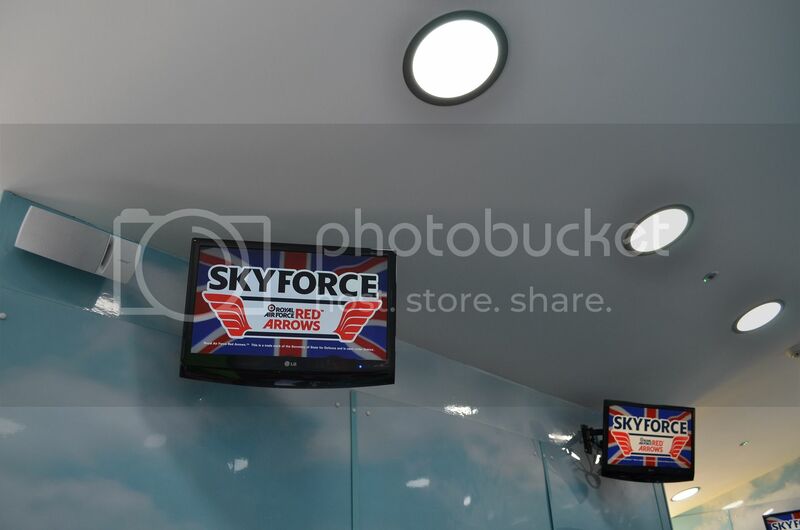 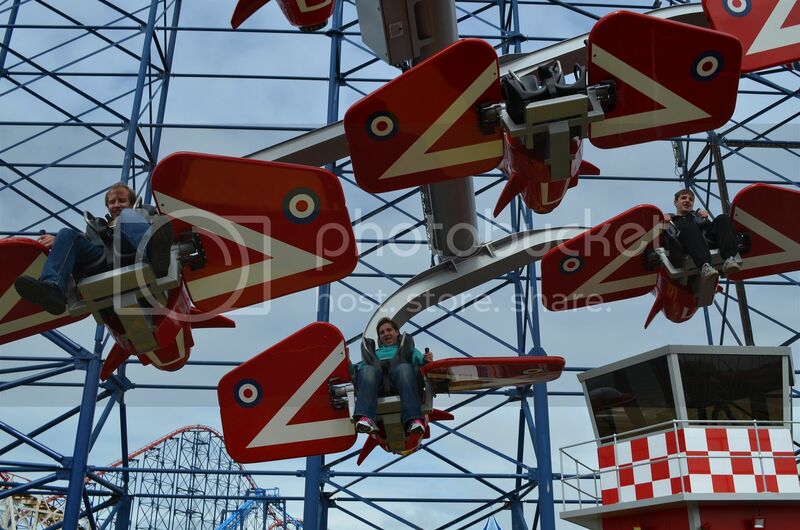 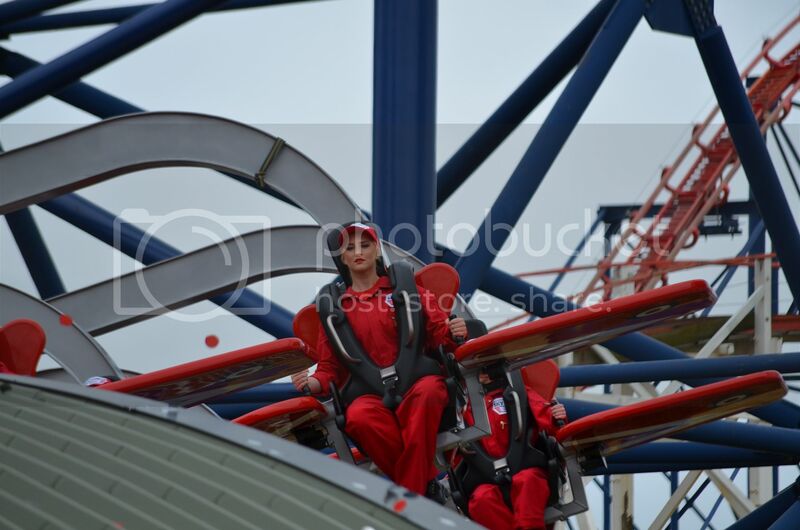 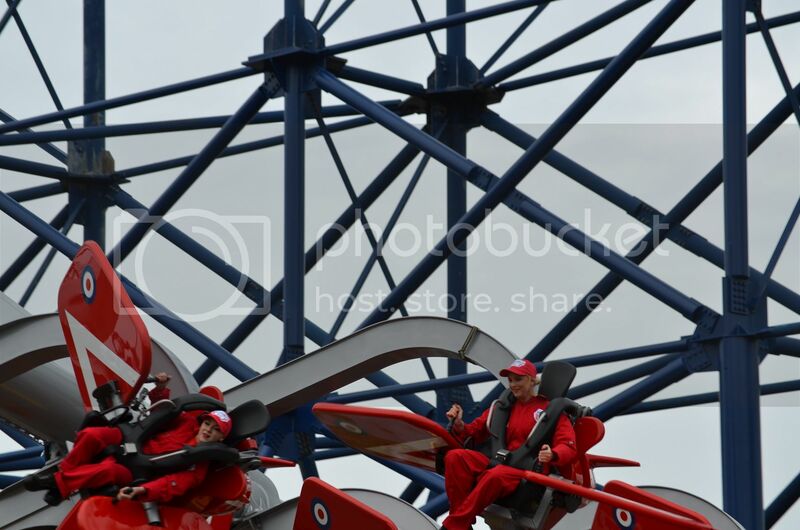 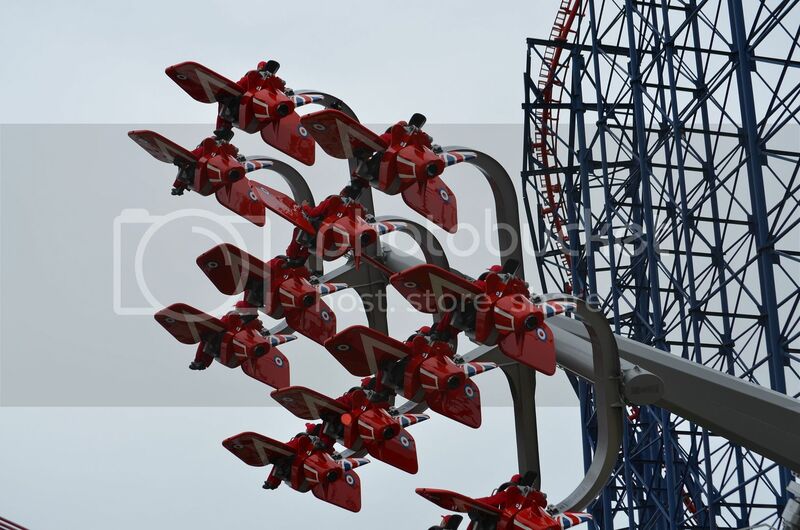 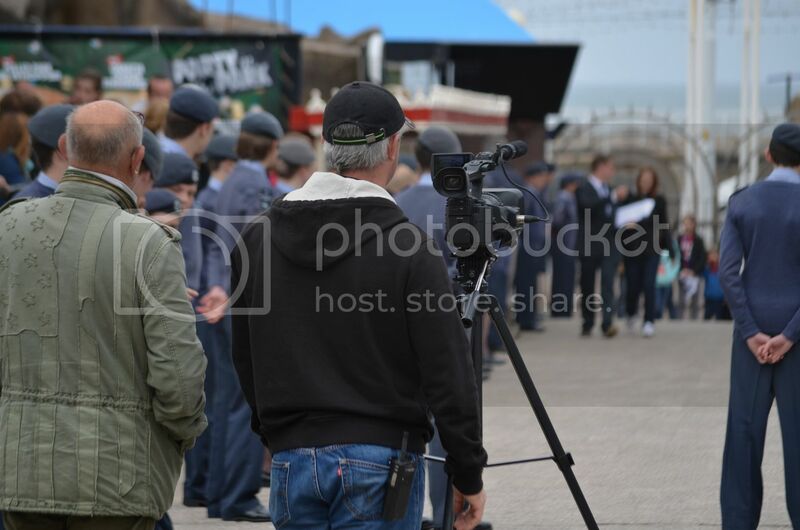 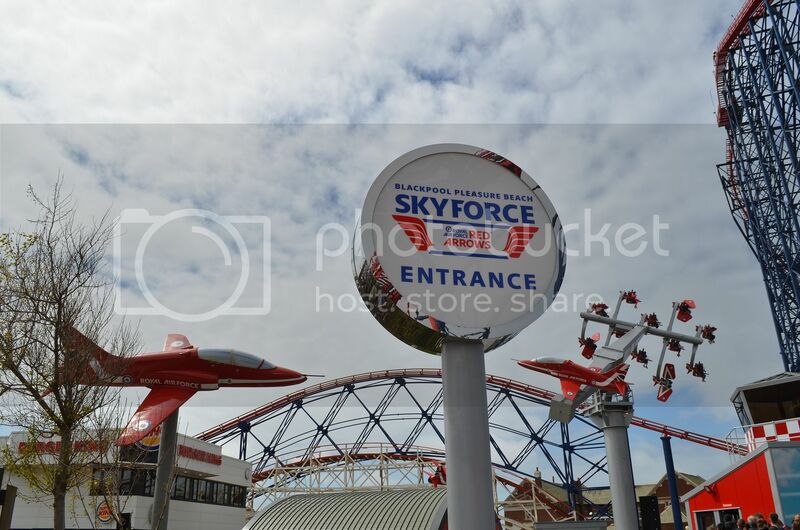 I really like SKY FORCE, its a very good all round family ride.. 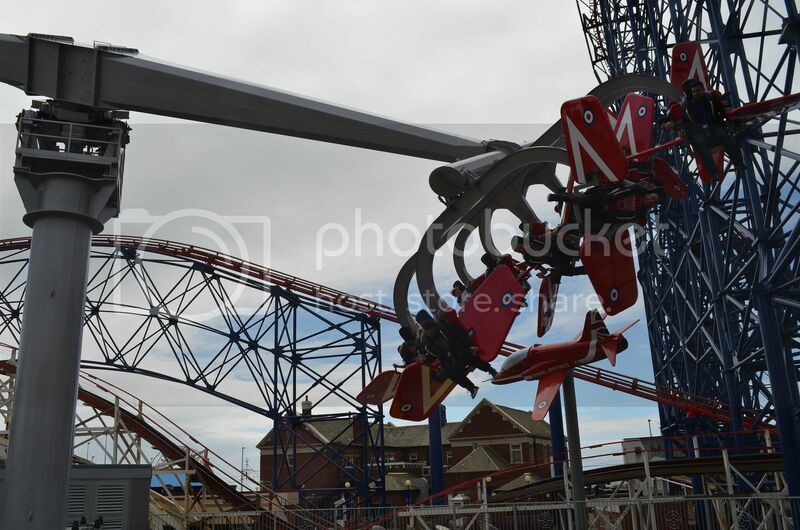 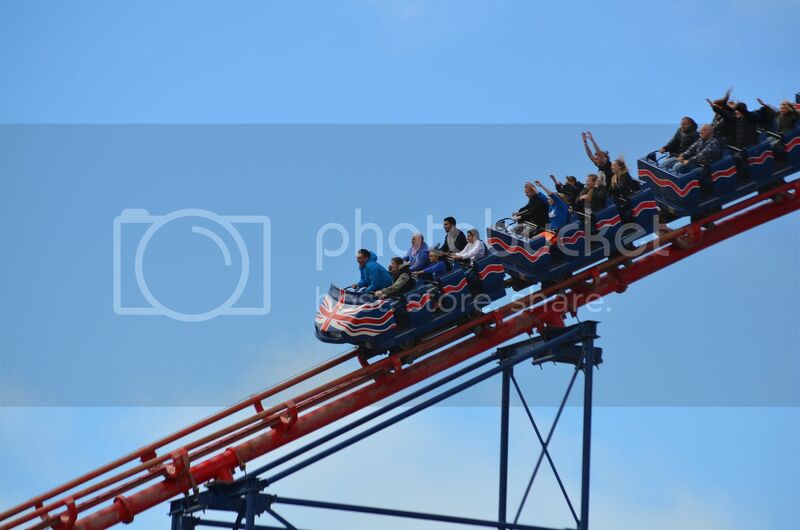 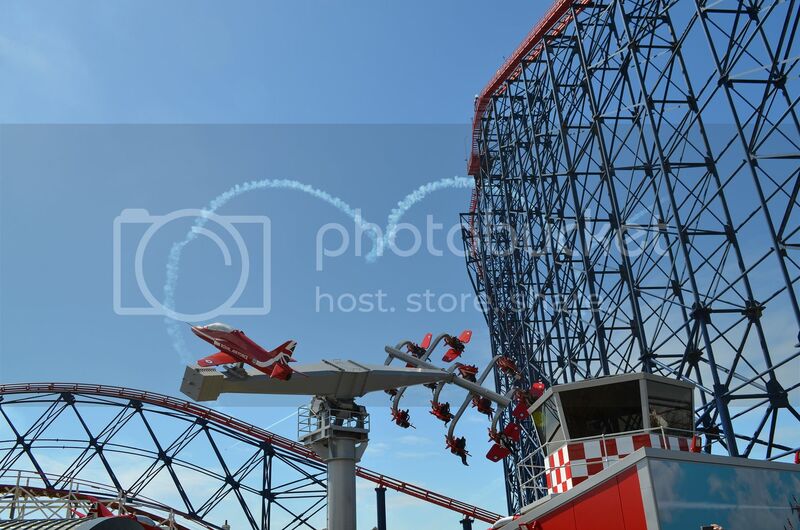 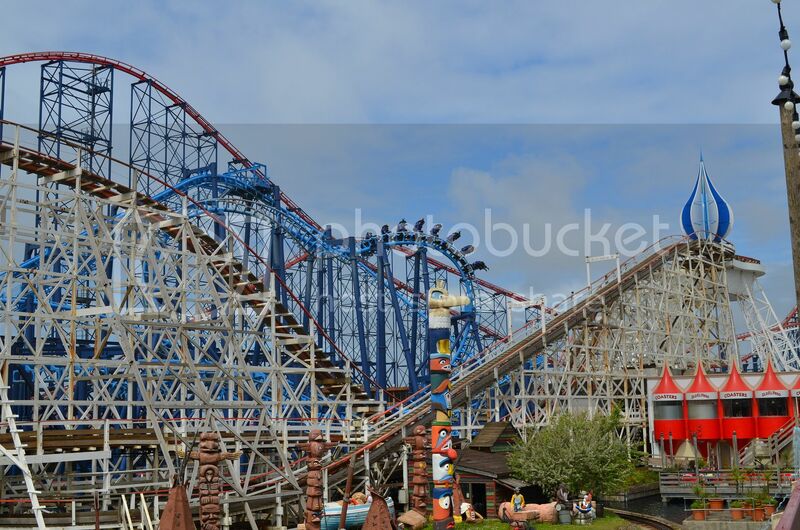 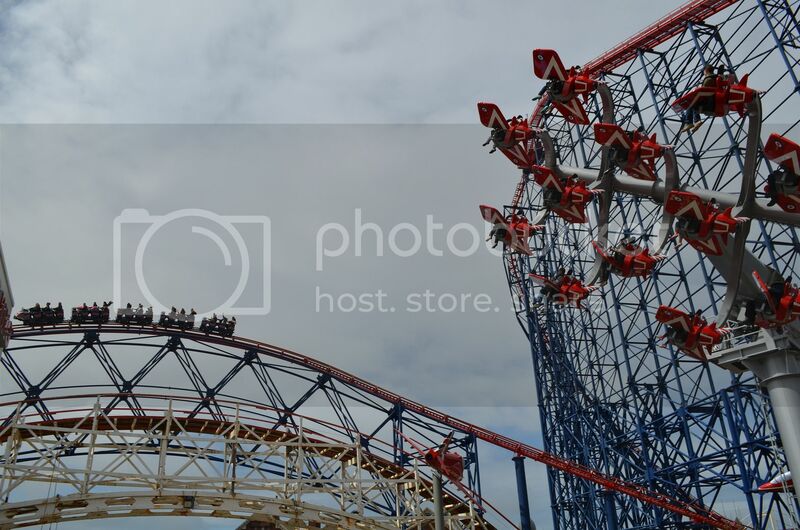 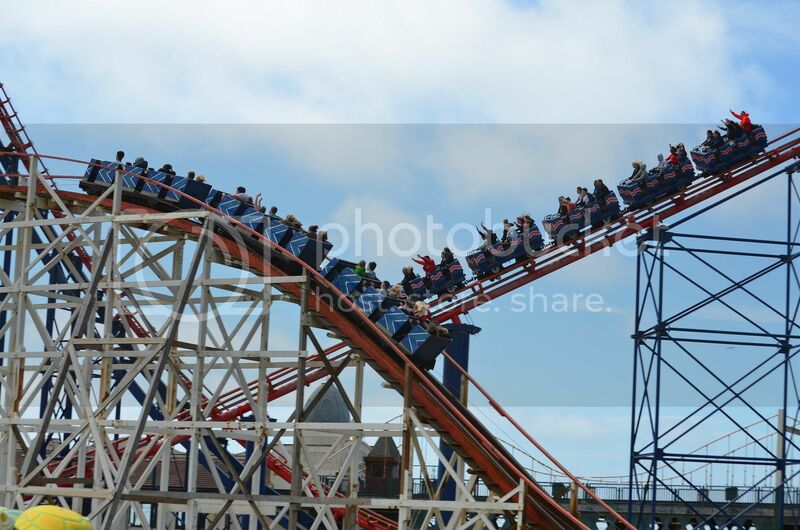 Thank you for taking the time to read my report, if you are thinking about visiting the Blackpool Pleasure Beach and experiencing this superb ride, or one of the many others, and the BPB does have a lot of rides, you must..
You can get very good discounts if you book on line.. 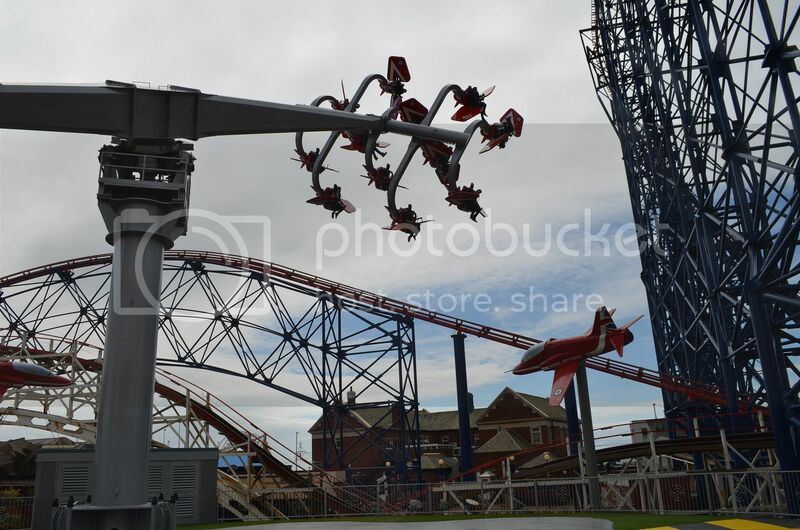 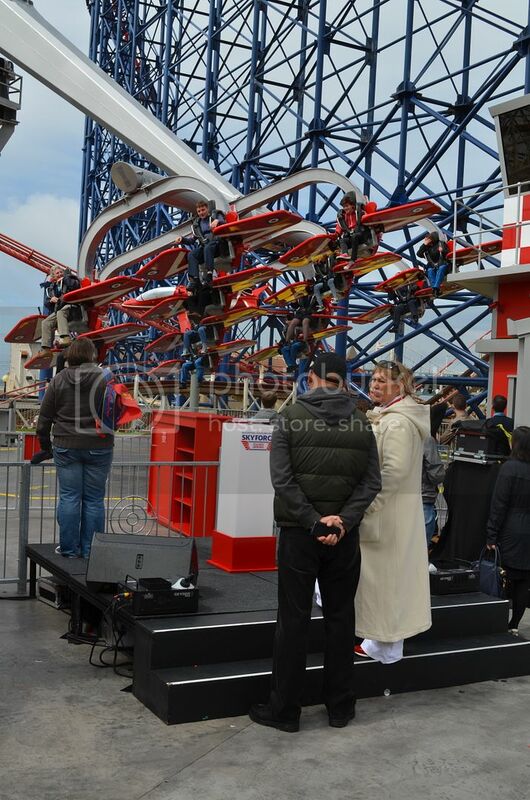 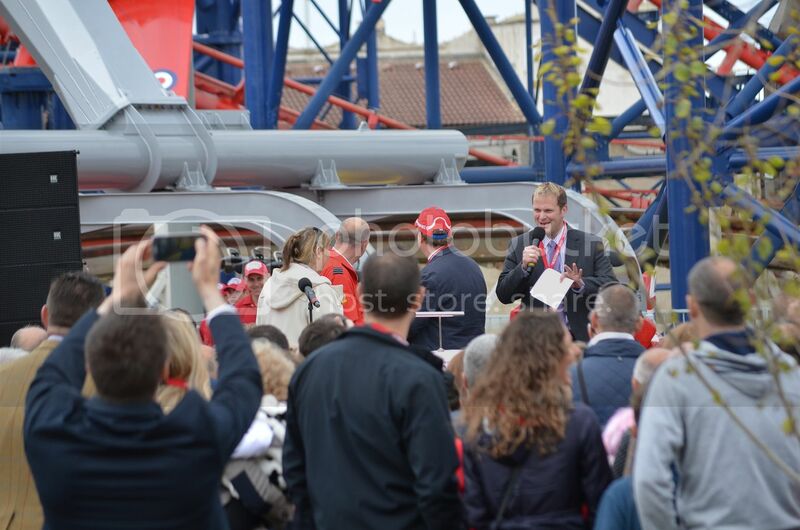 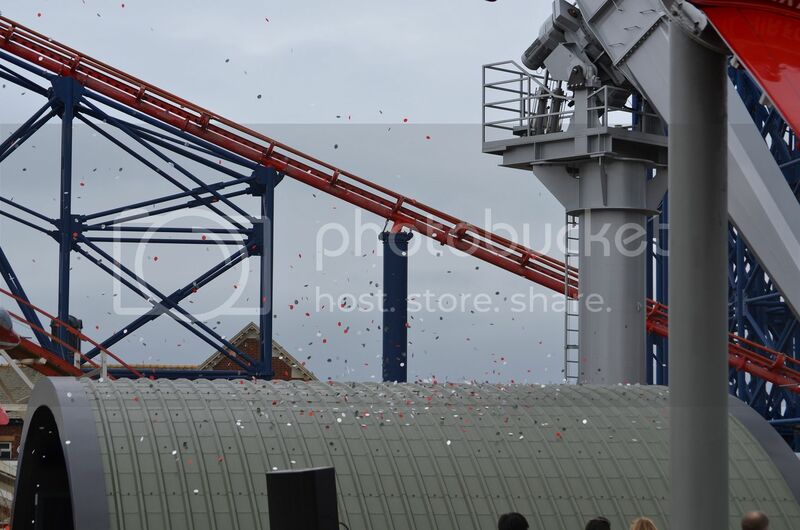 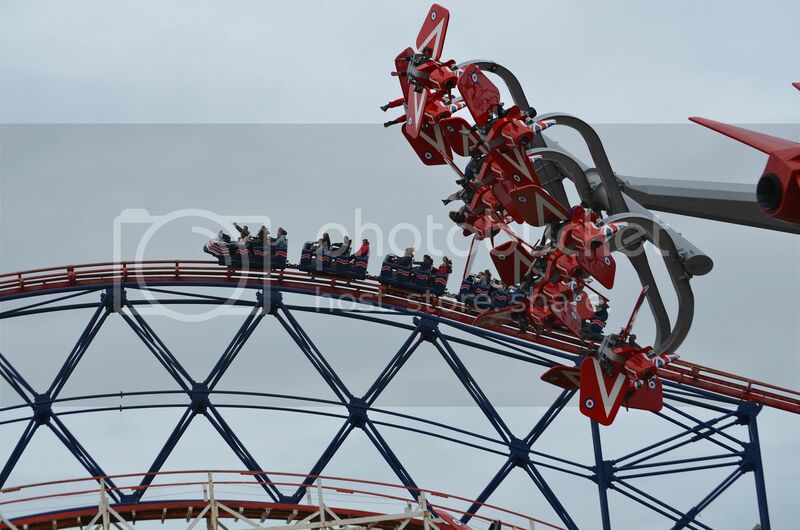 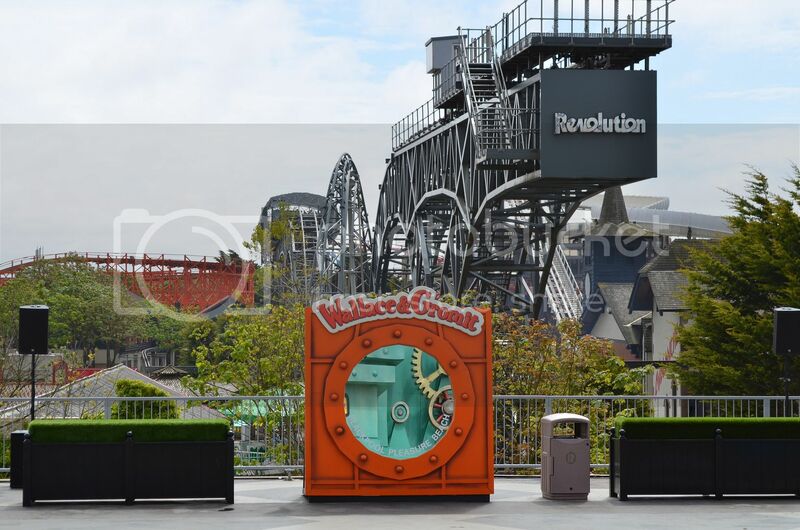 Thanks Chris, I plan to more Blackpool Pleasure Beach stuff, going back to our roots..
Not many new rides have that sort of opening..brilliant by BPB. 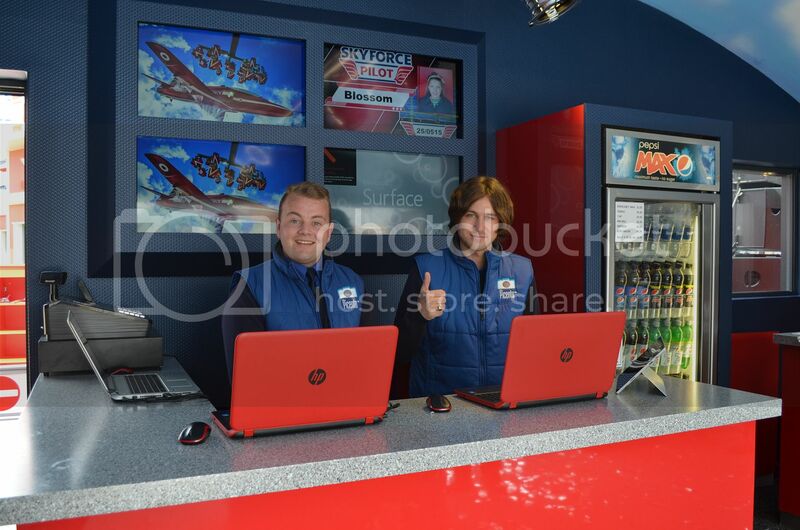 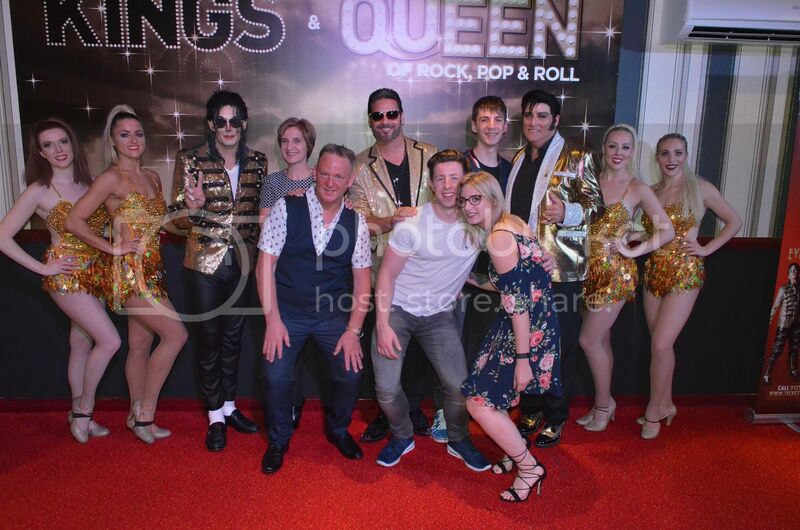 Top marks to you Peter on the report & photos really enjoyed them.